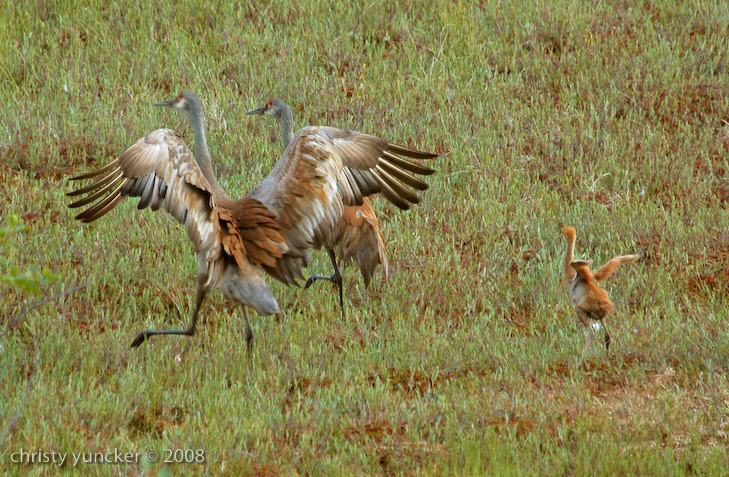 From their early days, colts walk about with their parents and flap their tiny rudimentary wings. 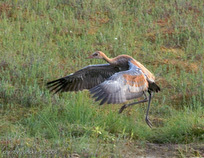 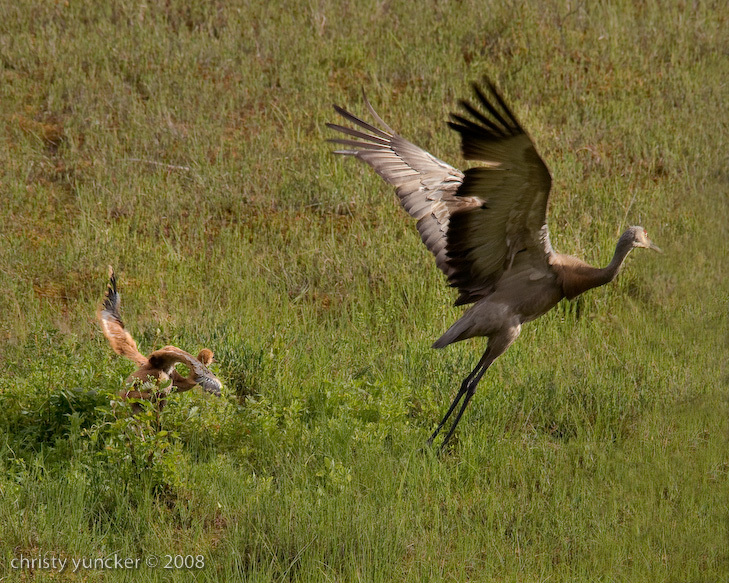 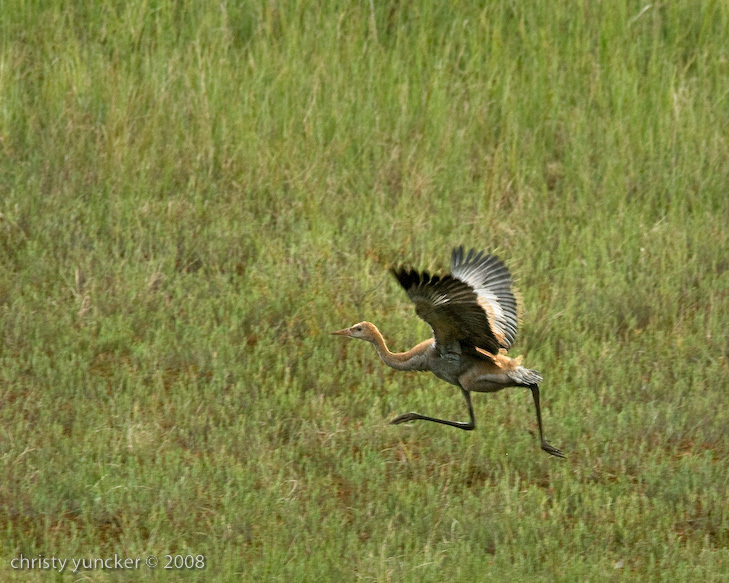 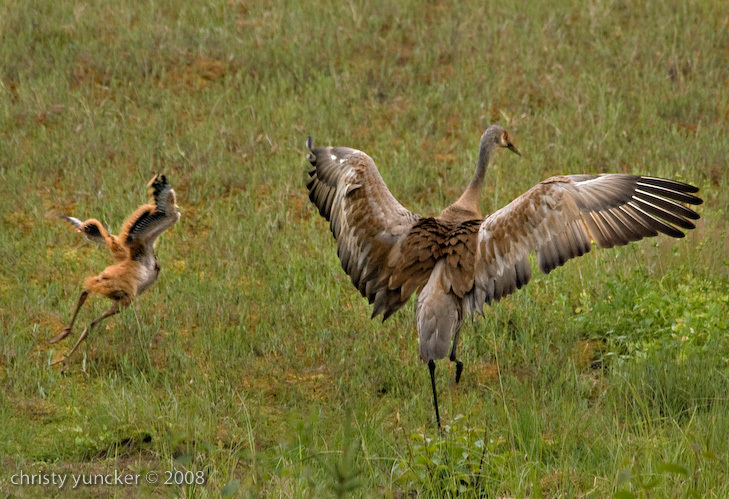 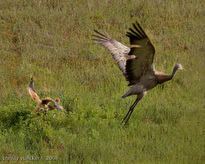 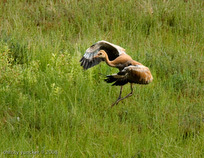 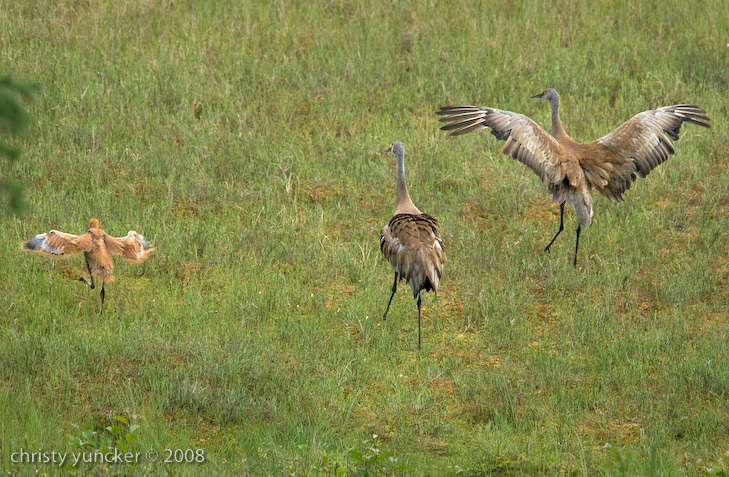 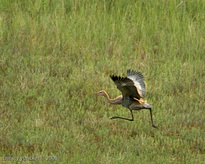 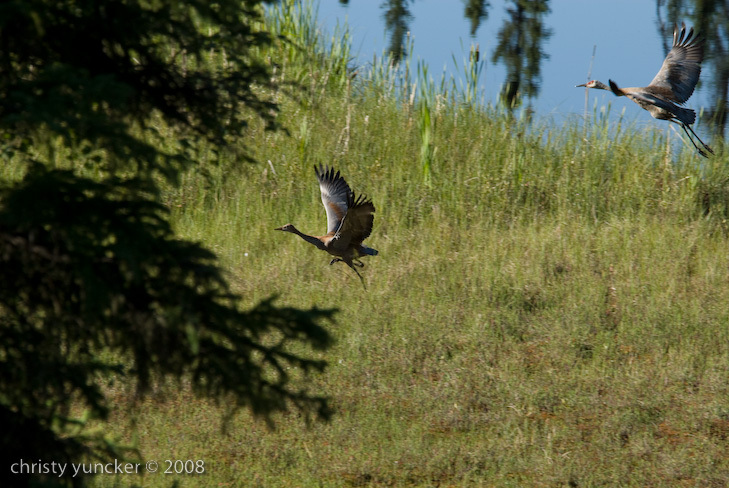 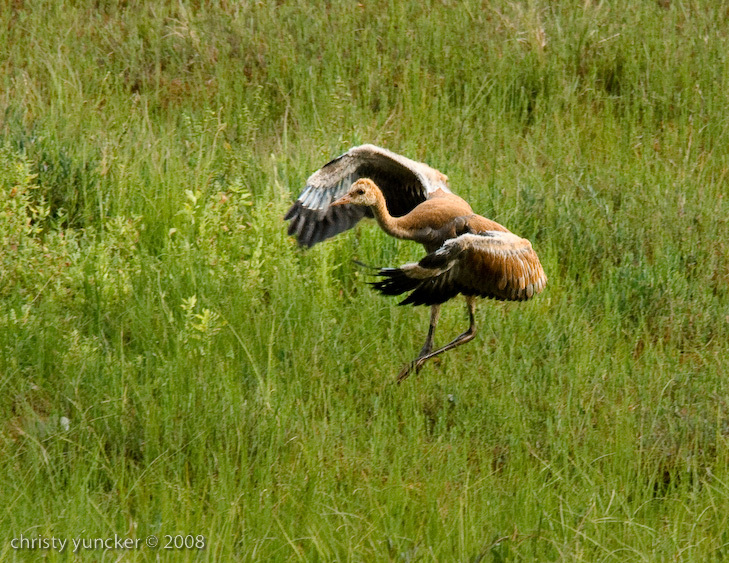 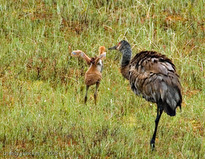 Pre-flight training involves running, flapping, and then, as the wing feathers fill in, bounding to facilitate gliding. 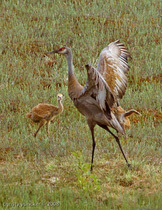 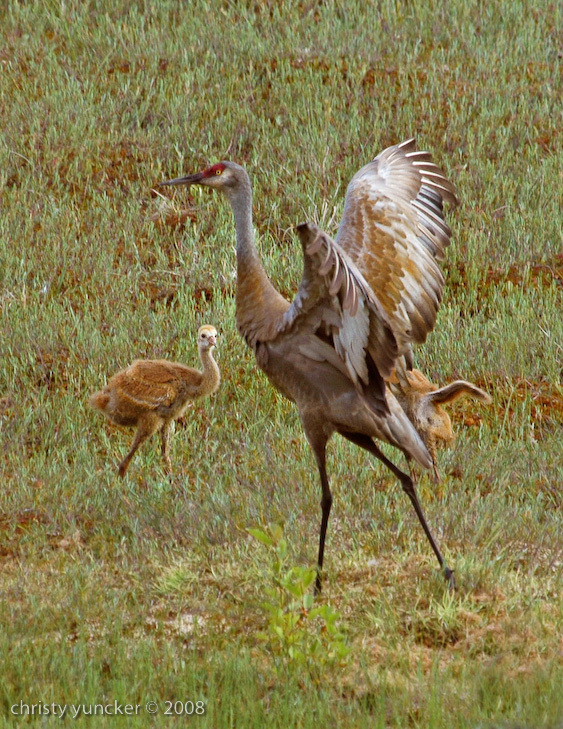 Both dance training and pre-flight training prepare the youngsters for the first flights and the fall migration.